NEW ALBUM “LIVE OUT LOUD” OUT IN CANADA ON MAY 14TH! 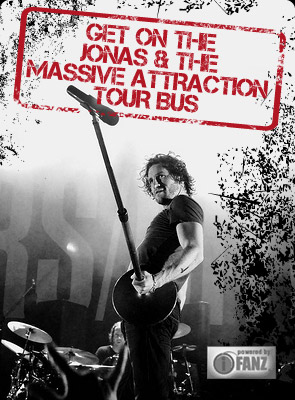 Jonas & The Massive Attraction’s BRAND NEW Cd “Live Out Loud” is set for release in stores across Canada on Tuesday, May 14, 2013, through Big Slice Records/Select Distribution. “Live Out Loud” was recorded in Montreal and Nashville and is produced by Mark Holman & Marti Frederiksen (Aerosmith/Pink/Buckcherry). The first single “Ultimate Low” is heating up and getting some action at rock radio with adds in Ottawa, Lethbridge, Medicine Hat, Grande Prairie, Fort McMurray, Lloydminster, Prince George, Fort St. John, Fort Nelson and Whitecourt leading the charge. Hear “Ultimate Low” at LISTEN TO “ULTIMATE LOW”.